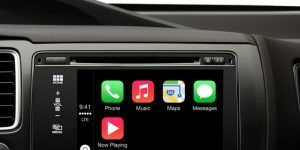 If you are looking to keep your passengers entertained, then chances are a rear seat entertainment system from Nu Image Audio may be perfect for you. 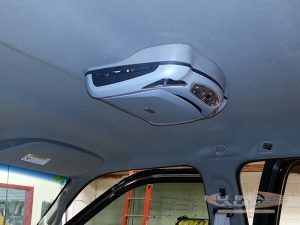 Our team has been installing video systems in vehicles for years now, and we know what products work best in every vehicle. From simple single-screen overhead systems to multiple-screen headrest systems, we have you covered. Overhead video systems are where it all started and are still popular to this day. Such a system consists of a screen that flips down from the ceiling whenever you want to watch a video. 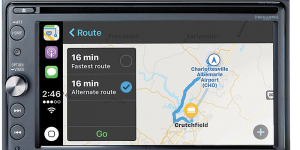 These come in multiple screen sizes and color options, so we are sure to have something that works well in your vehicle. Most of our systems include an integrated DVD player to allow you to watch your favorite movies. Some popular options include HDMI inputs, USB input, and wireless streaming capability. If you have a device you want to play through your overhead video system, we probably have a way to make it happen. 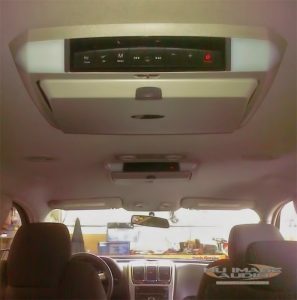 Many people think that an overhead screen is not available if they have a sunroof or their headliner is not flat. The technicians at Nu Image Audio are some of the finest in the midwest, so those are not obstacles to our team. 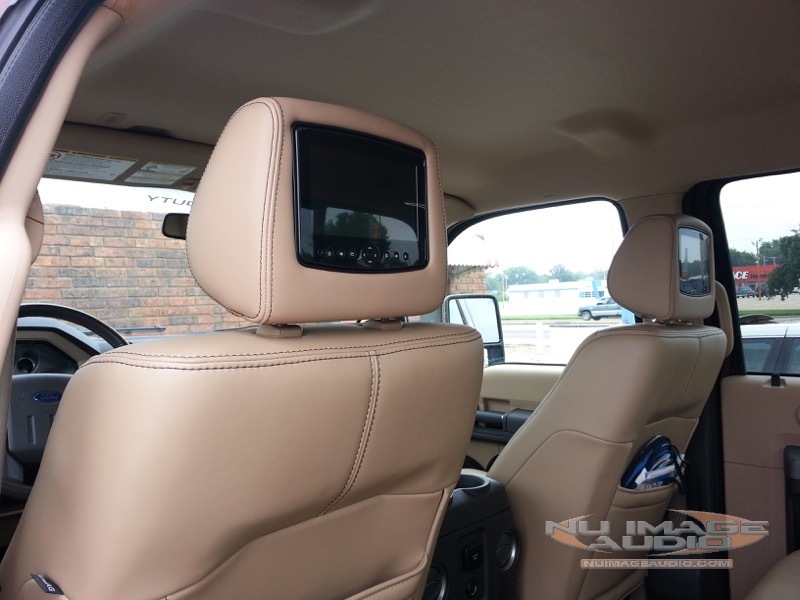 Headrest video systems are another popular choice for rear seat entertainment. They come in two distinctly different designs: replacement headrests and seatback-mounted systems. The difference is fairly simple but extremely important. If your vehicle has what is known as active head restraints, your headrests actually move in an accident to prevent head and neck injuries. Many of these vehicles should never have their original headrests removed because that jeopardizes the integrity of the system. In these vehicles, we have active seatback systems that get installed behind your headrest, keeping the safety system intact. Our products also are color-matched to the vehicle and include all of the convenience items as overhead systems. The advantage is having multiple screens, so your passengers can enjoy different entertainment options. If your vehicle uses a traditional headrest system, chances are we have a replacement headrest that is color-matched to look perfect for you. If you want to use your video game console, we can add a power inverter and a dedicated game port, making it easy to enjoy your games on the road. Wireless headphones are a popular way for passengers to listen to the video, allowing the driver and front seat passenger to enjoy their favorite music. Now everyone is happy, and the ride becomes a lot more enjoyable and creates less stress. 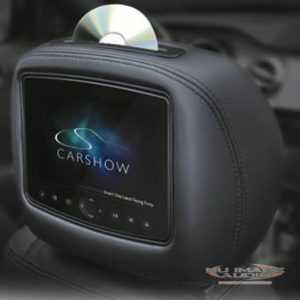 Schedule An Appointment For Your Rear Seat Entertainment System Today! 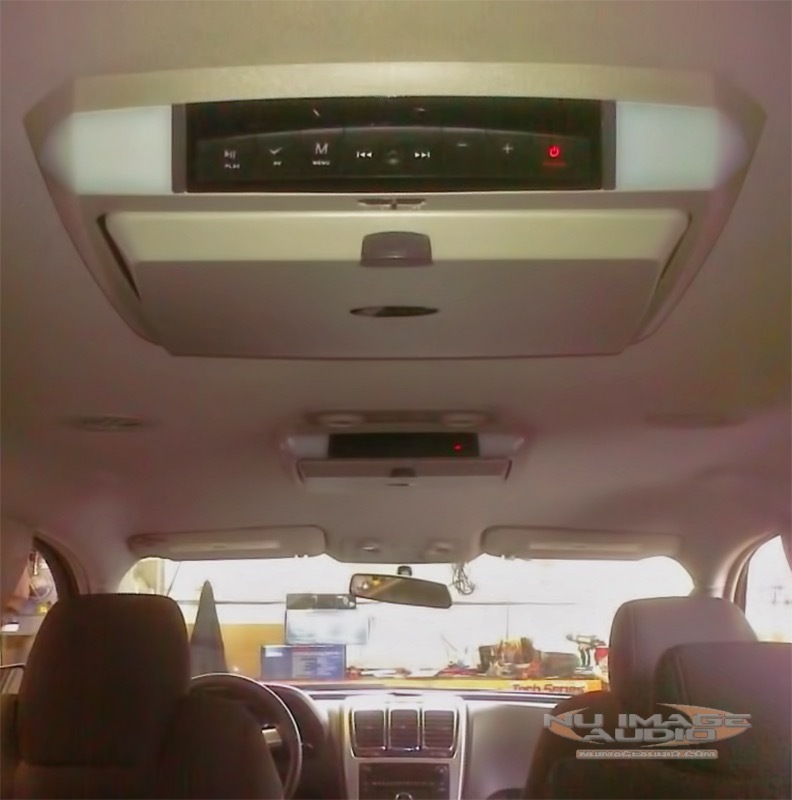 When you are ready to add a rear seat entertainment system, we invite you to stop by Nu Image Audio in Salina with your vehicle. One of our expertly trained staff will work with you to find the best solution for your needs.